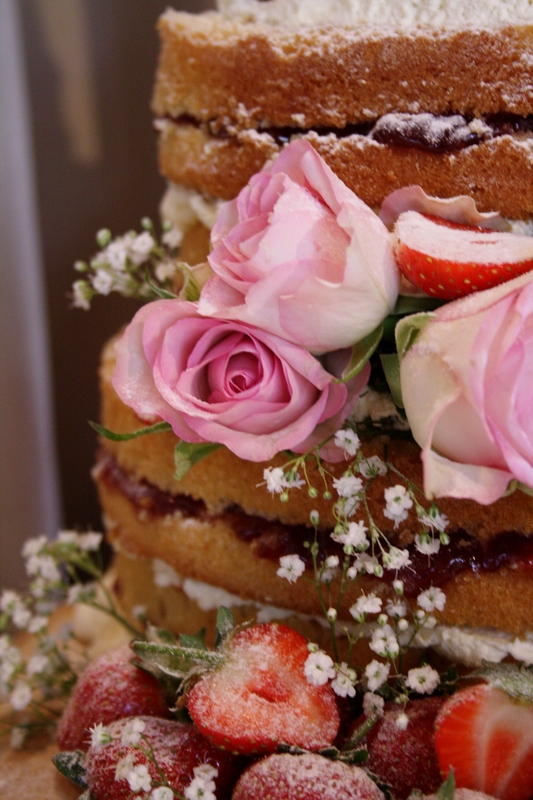 Four Tier “Naked” style heart shaped Wedding Cake at Michelham Priory, Sussex. All four tiers of Vanilla Sponge with freshly whipped cream with Madagascan Vanilla seeds, Strawberry Preserve and fresh Strawberries. 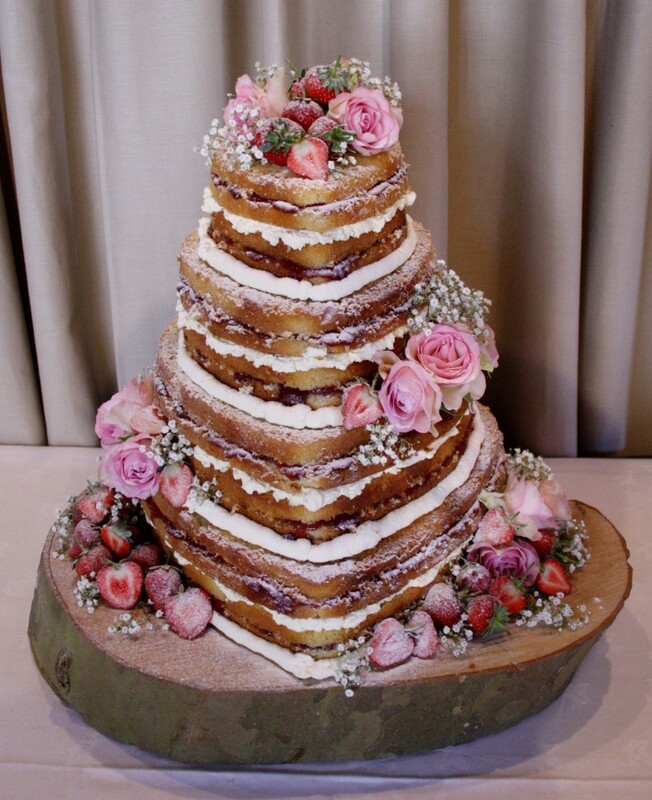 Finished with a dusting of sugar and dressed on London Planetree cake stand, with fresh Strawberries, Roses and Gypsophila. Served as dessert for 100 guests. Wedding at Michelham Priory, East Sussex.